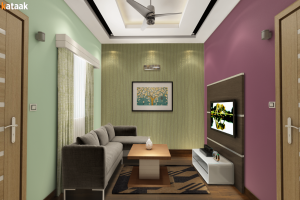 Apart from your personal choice, lighting and room size plays an important role in deciding the right wall colors for your living room. If you have a small room with not much of natural light or have light yellow or colored lighting, it is good to go with cool colors like light blue, white , cream , beige etc. 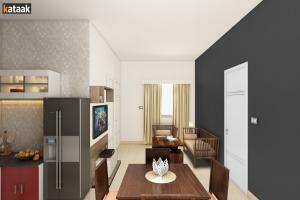 In case, you have well lit room, dark shades like bottle green, dark blue, red, grey are better choices as they make the room look inviting and warm. Before deciding upon the furniture, you should be clear on what you want to do in the room. Will you be hosting a lot of parties there, will kids play around, will watch TV or want a place to display books or awards. 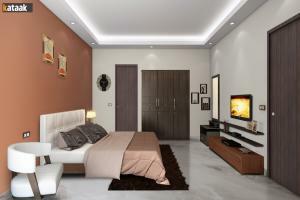 The function of the room is the critical element in deciding the furniture for it. Moreover, take care if you have a natural focal point in the room like a view or some ornamental décor. In such cases, you should plan your furniture around it. If you are planning to buy new furniture like sofa, centre table, side tables or pouffe then make sure, you have the room dimensions handy as it might be possible that the furniture piece won't fit the space well. 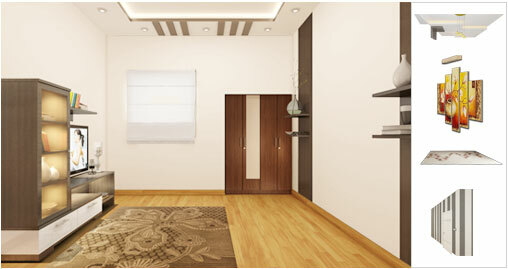 You can also use our tool for this purpose as all displayed furniture choices fit in the mention room area. 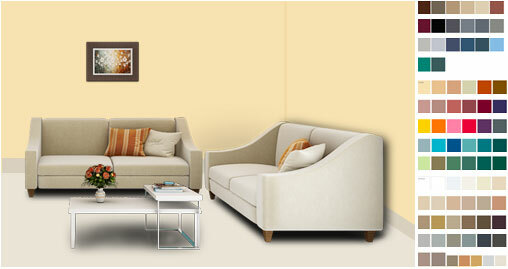 While setting furniture ensure that the space doesn't look crammed and have only the necessary pieces. Pro tip : Don't block the entryway and leave enough space to walk around the space. Don't go for single lighting source for the living room. Instead, use multiple sources and blend them together. You can play with bulbs, tubes, table lamps, side lamps and scones to create a universal look. If you place a table lamp in a corner than place another one in the other to balance it out. Plus, you can also place tall lamps in the corners for a glamorous look. If you are planning to watch TV in the room then ensure that there is not too much lighting over the screen to make it glare. 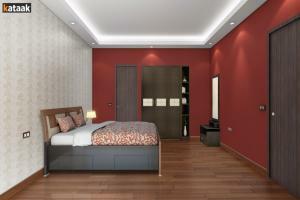 You can also use dimmers in the room to control the brightness of light in the room. Dimly lit spaces not only save electricity but also are also good choices if you host parties. If the room is small and you wish to open up the space then it is a good idea to accentuate a side of the wall with a big mirror piece and can put artworks in others. 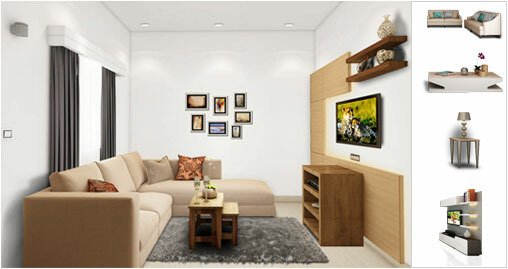 Ensure that the artwork you choose blend well with the rest of your home décor. If you are confused among options, then you can try our tool to visualize décor pieces in setting like your home. You can make the living room area a bit more comfortable by carpeting it. If you find the option expensive, then you can also go for rugs, ensuring that they don't lie around the entry and have either the whole set of furniture away or onto it. 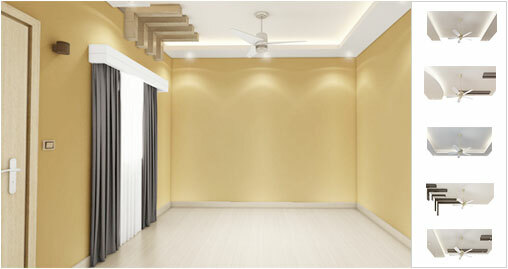 While choosing ceilings it is a good idea to keep note of your room's overall décor. If you are using wooden furniture, then going for ceiling with a layering of wood is a good option. 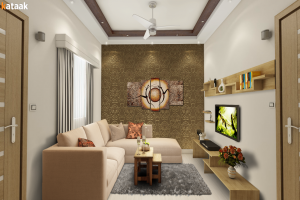 It is advisable to visualize false ceilings on Kataak before applying them as these are expensive and would stay in your living room for a longer time. Happy Living Room Decorating to you ! Design Stunning Living Rooms Online With Kataak ! Among all rooms in the house, we wish our living room to be the most beautiful. It is the space that defines our personality and taste in way. However, creating one's dream living room is not an easy job for many. From finding the perfect colors to decor elements, there is so much to consider. 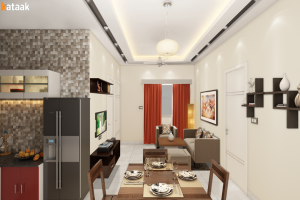 With Kataak - World's Ist Live Home Designer, designing living rooms becomes a cakewalk. We are an online platform that lets users design, decorate and furnish their homes with real products online. Pick the appropriate size for your living room. 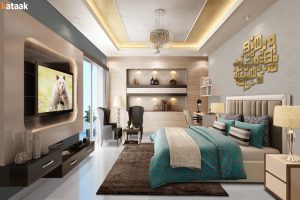 Play with multitude of options across wall paint, flooring, ceiling, furniture and decorative pieces to create the design of your dreams within minutes. From traditional to contemporary and modern, we have options for every requirement. We understand that while designing, we often tend to overshoot our budget. With Kataak, you have an integrated price meter that presents the price of the design, detailed to every element used. Tweak your design end number of times, save or share it with loved ones to take their opinions. 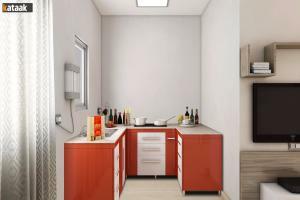 Once satisfied with the design you have created, there is no need to toil yourself looking for the necessary products. Kataak allows you to place request for needed items or get connected to a handpicked team of designers/contractors to get the project executed. Compare profiles and bids to find the best man for the job and that too at the best of the prices. 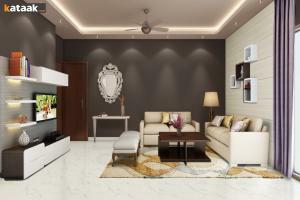 Kataak is your one stop destination for interior designing for living room. Try it today!